Give thanks, Be joyful: Is there a pattern here? 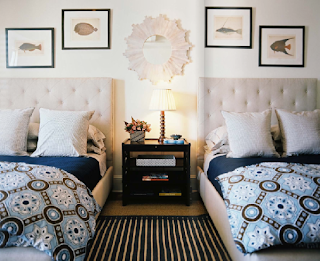 I have been looking through a lot of my magazine clippings and different pictures of decorating ideas and I've noticed some of the pictures are very similar! If you aren't sure what your style is, I suggest looking through magazines and searching the Internet and compiling everything you like. I would guess you would find a lot of the same styles as well! 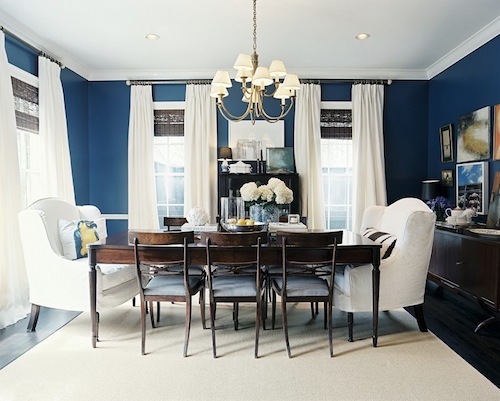 Decor pad www.decorpad.com is a great place to search; they have thousands of great rooms and ideas. What a great idea! 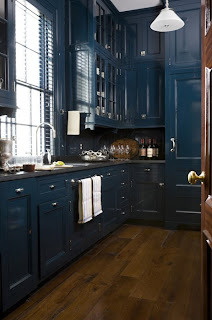 I would never thought to paint kitchen cabinets navy....although I would probably just do the island in this color (it is a little much). I really LOVE this idea for Jax's room one day. 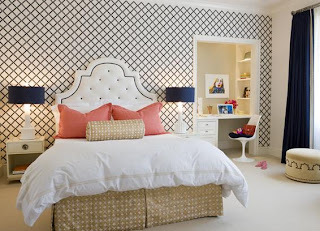 Sweet and timeless girls/teen room. 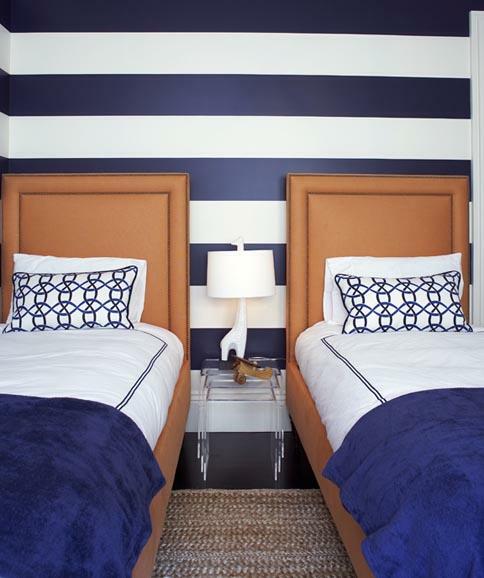 I will never buy another wooden headboard. 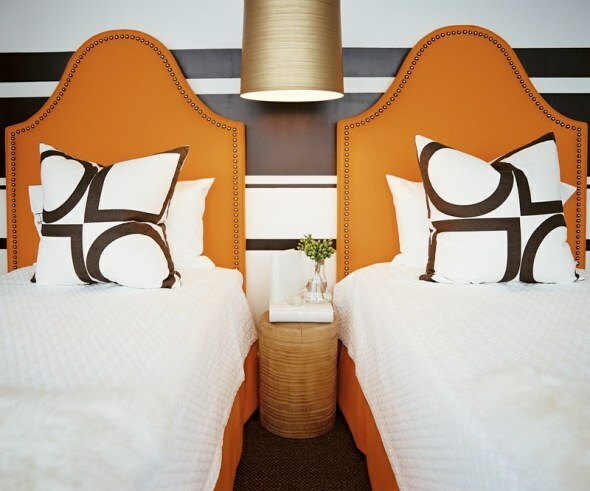 I think an upholstered headboard is the way to go; its so much more personal and prettier (in my opinion). way to go with the prompt posts! 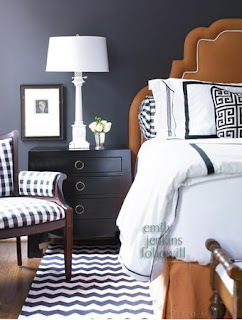 i love love love everything in this...i am loving upholstered headboards too. let's make one! 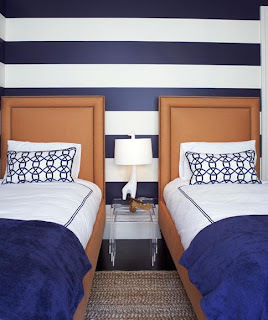 i love the cleanness of white bedding with bold crisp colors, and wallpaper!!! Shasta do you think if I painted my kitchen cabinets, what color? Would black make the kitchen look smaller? I need your help!! I like navy too but I have zero in my house!